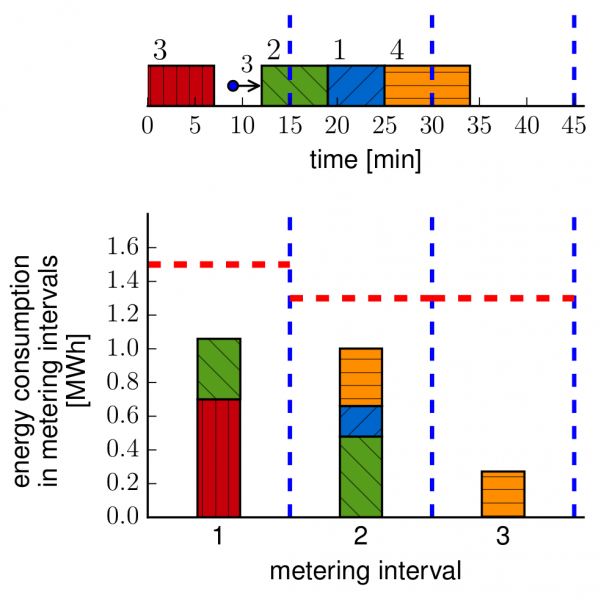 Our article describing robust scheduling of energy-demanding operations under energy consumption limits has been published in a high-quality journal. In this study we developed an algorithm for designing robust baseline schedules which guarantees that the contracted 15-min energy consumption limits are not violated even if start times of operations are delayed. This research was conducted within project CAK. István Módos, Přemysl Šůcha, Zdeněk Hanzálek, Algorithms for robust production scheduling with energy consumption limits, In Computers & Industrial Engineering, Volume 112, 2017, Pages 391-408, ISSN 0360-8352, https://doi.org/10.1016/j.cie.2017.08.011.